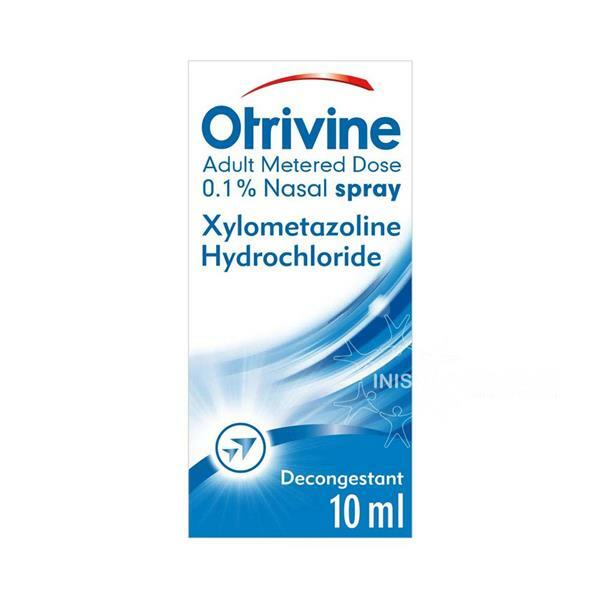 Otrivine Adult Decongestant Nasal Spray is used to relive nasal congestion and the symptoms of allergies, including blocked sinuses and stuffy nose. Each spray contains Xylometazoline hydrochloride, a decongestant which relieves a blocked or runny nose. This medication is non-drowsy. Adults and children 12 years one spray into each nostril 2-3 times per day, up to a maximum of 3 times in 24 hours. Do not take this medication if you take/have taken in the last 14 days’ medicine called a monoamine oxidase inhibitor, have an over active thyroid gland or have had brain surgery via the mouth or nose recently.